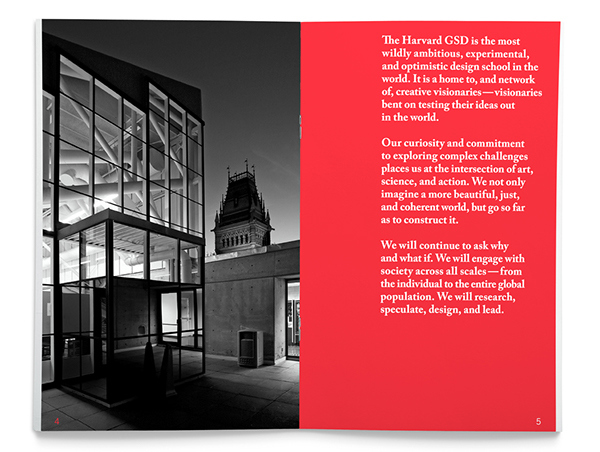 The Harvard University Graduate School of Design is embarking on its most important campaign to date — raising one-hundred-million dollars in support of the students, faculty, and design leaders who will give form to the 21st century. 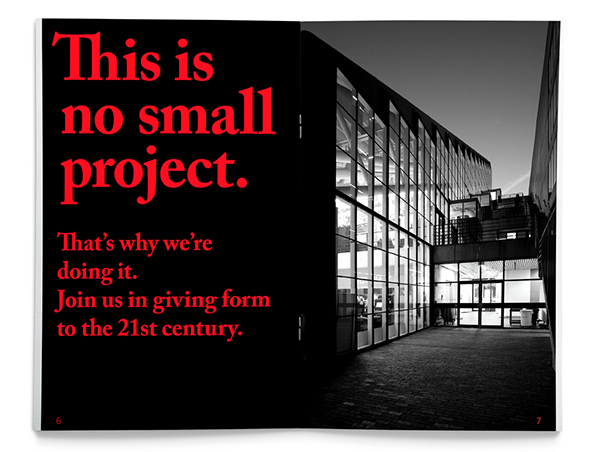 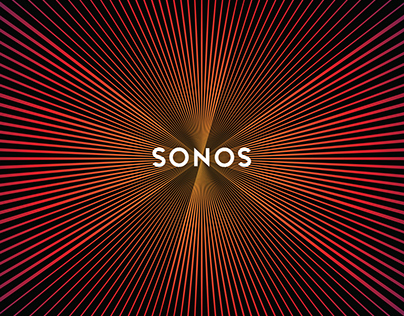 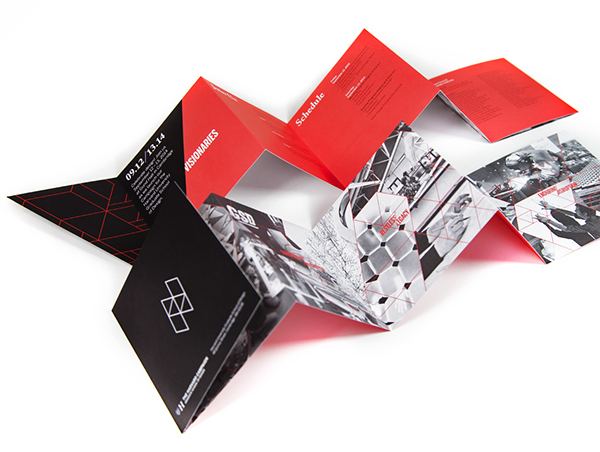 The GSD first engaged Bruce Mau Design to articulate the big idea of the campaign. 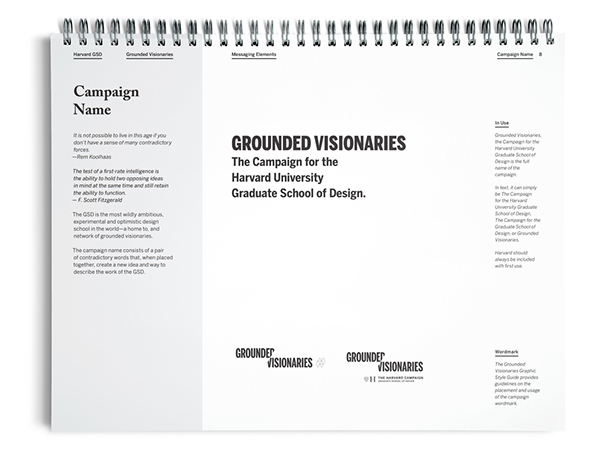 Our team developed the "Grounded Visionaries” name, the language and messaging, and a communications framework that organizes the various stories and funding priorities of the campaign within a compelling narrative structure. 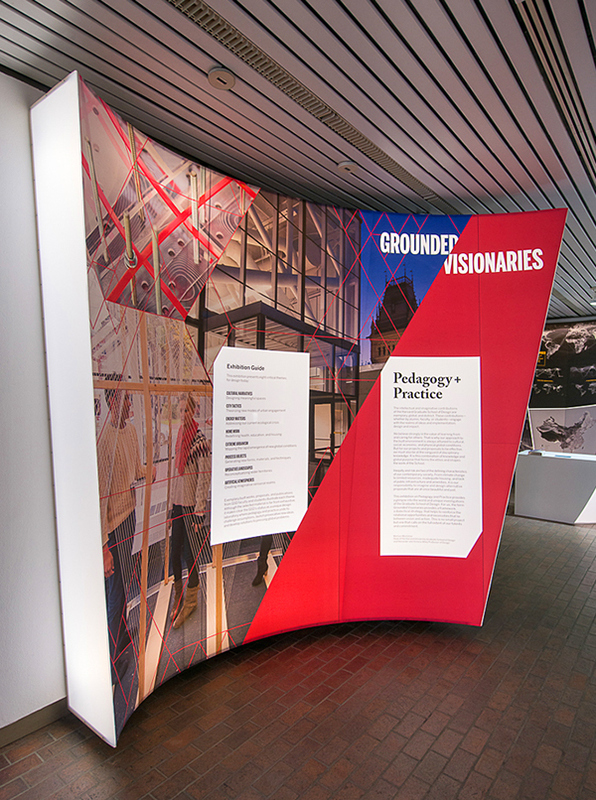 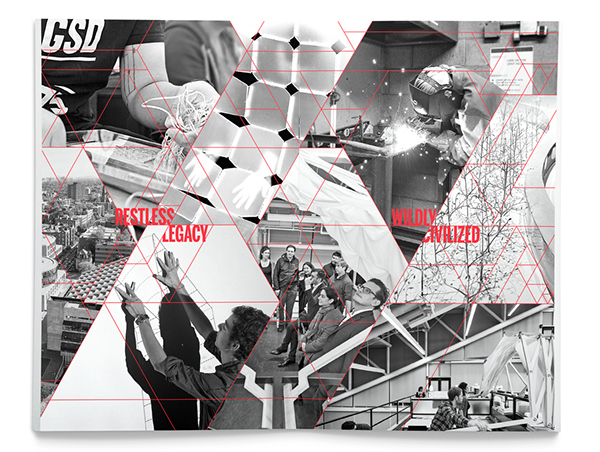 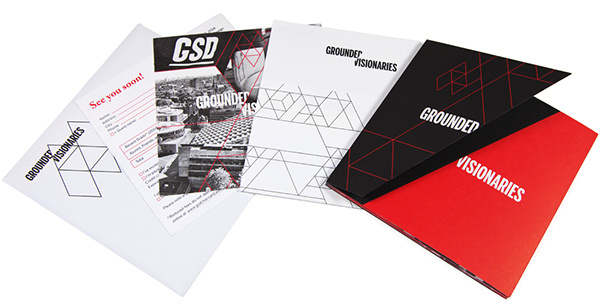 BMD also designed the visual identity and graphic system for the Grounded Visionaries campaign. 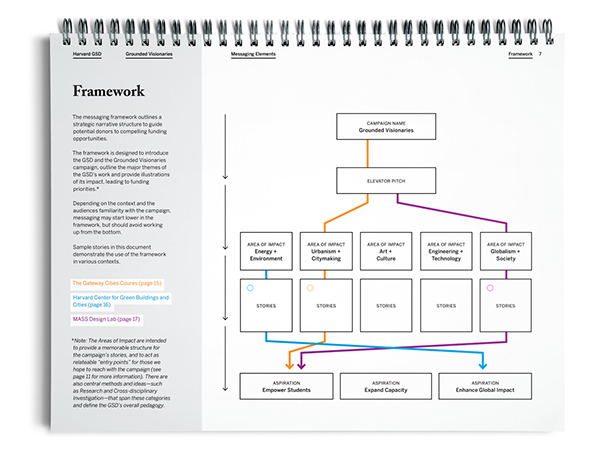 We then worked with the development team at the GSD to develop a communications strategy to identify and connect with priority audiences during and after the launch of the campaign. 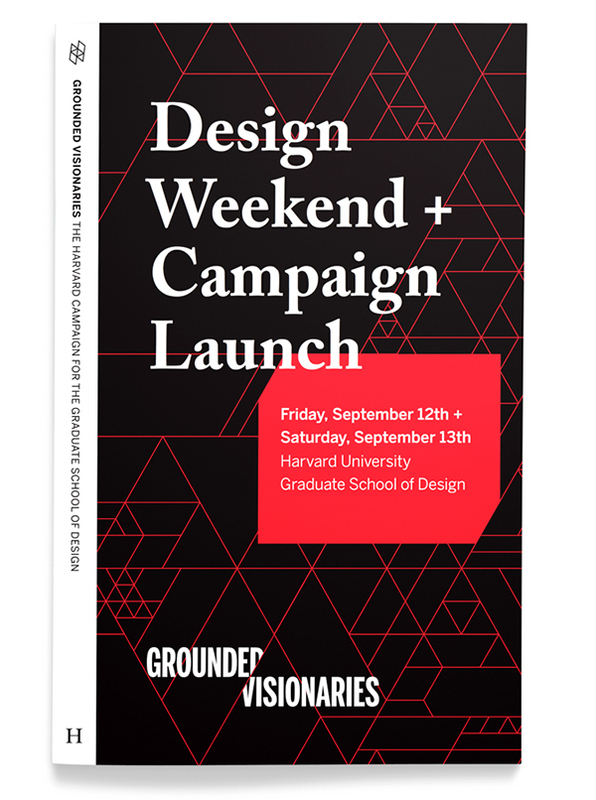 Bringing the graphic and verbal systems to life, the BMD team created and produced the launch invitation, launch-weekend program, banners, animations, and graphic installations for the launch, as well as all signage and way-finding for the event. 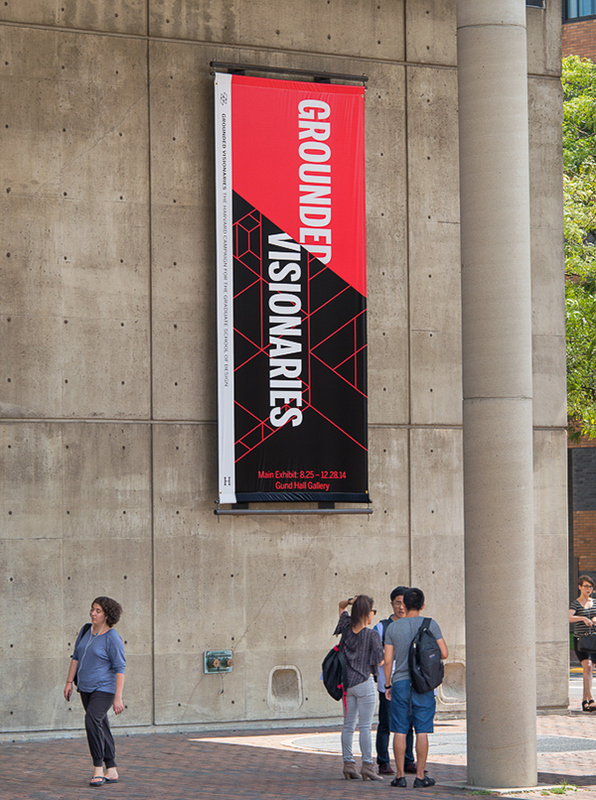 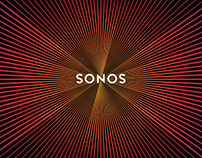 The launch event will feature speakers such as Rem Koolhaas and Jeanne Gang, and the Grounded Visionaries exhibition.